We are not selling any gimmicks or quick fixes. If you want easy, then go down the street. We believe in setting a goal, and then training our butts off for it. Our training program is designed to produce extraordinary results, and we will always deliver that in a safe and effective manner. We are 100% dedicated to your overall success. 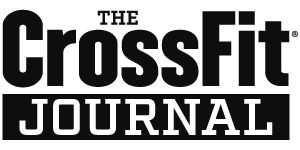 Our training method which was founded in 2001 by Greg Glassman is backed by science and has been used to train military, firefighters, policemen, new moms, retirees, and 80 year old grandparents. CrossFit is about using your body and being more human. Instead of using boring machines, you will climb ropes, run outside, jump, and lift weights. Your body is the machine! Celebration CrossFit’s humble beginning started in early 2014. We were located in downtown Celebration, Florida in a tiny 800 square foot office unit (definitely not intended for CrossFit), but we made it work. Our early adopters came in daily for a fun and effective workout. They made friends and forged a community of fitness. They saw tremendous results and felt great. Today we continue to use the same training methodologies, and our founders continue to welcome new faces every day in our state-of-the-art facility! Originally from New York City and a die hard Mets fan, Erik has been strength training since he was 13 years old. 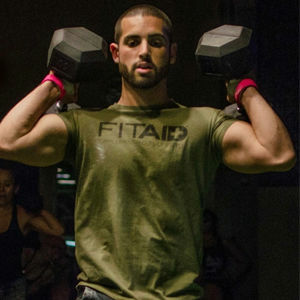 He started in the fitness industry as a personal trainer with a passion to help others live a healthy life. Erik originally discovered CrossFit in 2009 while he was amateur mixed martial artist. He founded Celebration CrossFit in early 2014 and still coaches his athletes to success daily. His constant pursuit of excellence contributes to a one of a kind experience for every person who walks through the doors at Celebration. Kaycie Lipetz specializes in Olympic weightlifting and nutrition. 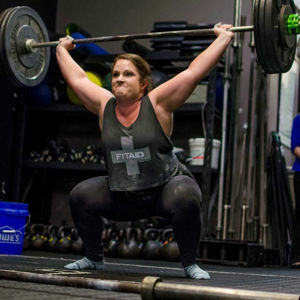 As a lifelong athlete, she got addicted to CrossFit’s competitive/community atmosphere in college. Born and raised in a small town in Northwest Georgia, Kaycie is a die-hard Atlanta Braves fan who loves everything about SEC & ACC college football, sweet tea, BBQ ribs, and Southern hospitality. She and Erik got married in November 2015, and they are loving life as two young entrepreneurs tackling and, most of all, enjoying life together.